The route starts from district VII, Dob street. The vicinity full of authentic mansions and recessed streets. Take a walk to the pick-up point by the Synagogue, and inhale the pure downtown air – you’ll breath real history in. The story of more than a hundred years. War, love, so many momentous happenings! 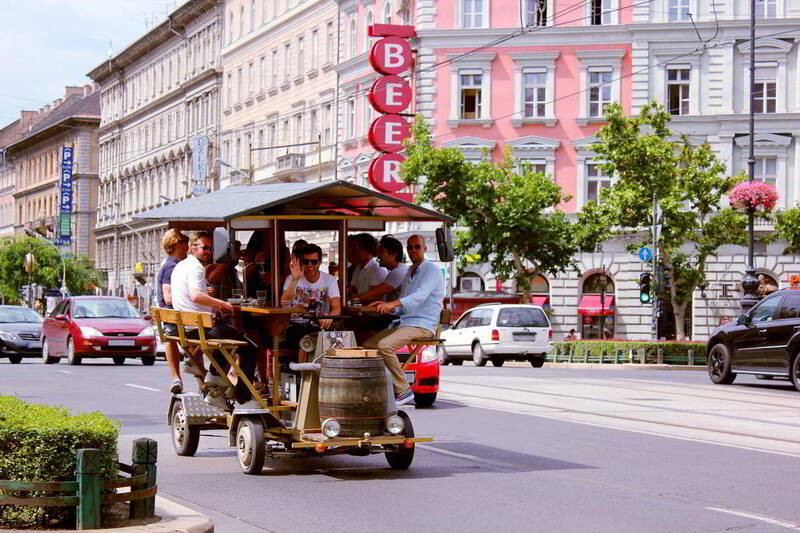 Have a drink for the setts and pigeons, than take a turn to everyone’s Király street. It is famous about being the connection between the emblematic tram line No. 4-6 and the heart of the city, Deák square. Having at least 3 dozens of ruin pubs, this street is never empty! Wave your hands for those who are drinking coffee on the terraces, and have a peep to the left on the end of the street: here you can see the perfectly decorated building of the Liszt Academy of Music, which also owns a great number of years: more than 100! Let’s go to the boulevard! By cycling here, you are involved to the true Budapest feeling. Seems like every colour of the city evolving here, and it goes further in the interchange, Oktogon. Count all the corners of the square and have a clue why it is called Oktogon! Look for the Burger King, the most popular meeting point of Budapest, where every natives of the city have already met someone! Is it crowded? Certainly it is. Riding for the most spectacular point of the route, the Champs-Élysées-like Andrássy street is yours. Under your feet goes the little yellow Millenium Underground Railway. Up above your head you can see many of those unique facades – you will never find two matching. Have a look at the Budapest Bábszínház - where puppet-shows goes, the House of Terror - a memorial building for the victims of communism, and the University of Fine Arts. And don’t miss the pretty girls cycling in short skirts! Hero Square you already know from the traveling guide books. It is a must to have a selfie tagged with #herosquare! Make sure you have your beer in the pic as well, go for as many likes as you can! On the way back you still have the opportunity to take a photo of your favourites. Enjoy the atmosphere of the city. 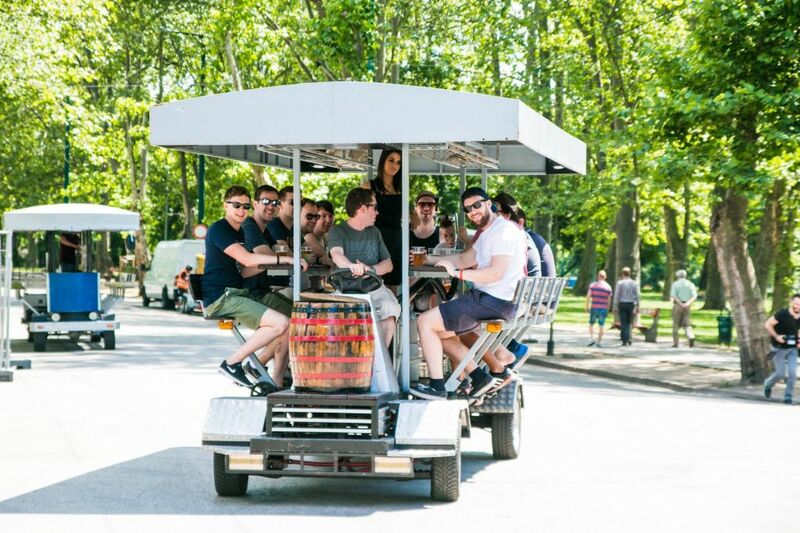 Mission accomplished, you captured Budapest by beer bike!